I have organized for the Tahoe Trip album and am so excited. This is my first ever album to focus on one event and I am going to have the entire album color coordinated. So I first started with this fabulous paper pack I just got. The color combination, I never would have considered but I love how it looks and I have decided to name it Rainbow Sherbert. Orange, green, raspberry and an ice blue. So pretty. Not sure the colors come across on the photo as good as they look in person. The pack came with some stickers and then I happened to have some other ones that will match up nicely. Then I went through all my embellishments and pulled out all these to coordinate with the papers and stickers. Brads, eyelets, inks, ribbons, threads, flowers and more! And finally I found a bunch of inspiration pages to use for layout ideas and sketched some ideas on the post-it notes. This helped with my photo order so I knew what I wanted as 4x6 or 5x7. I am so excited to get started. And amazingly am feeling much better about the job thing too! See, my logic did work!! Feeling a bit overwhelmed with life at the moment. My mind has been racing with doubts of what in the world have I gotten myself into. Becoming a working-mom? WHAT WAS I THINKING?????? My emotions have gone from the high of feeling excited that somebody saw me as employable and approached me with this opportunity and how great it was going to be to crashing to the lows of mommy guilt (because really, is there anything lower than that!!) of putting my baby in childcare and missing my big girl's first day of school. So what do I choose to do to help with this problem, you may ask yourself? Of course, it is none of those options. I go with the logical choice, of course!!! 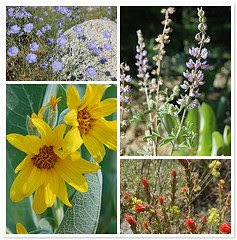 Reorganize my scrapbook room and get started right away on my Lake Tahoe trip album. Because, of course, the best thing to do at this moment is to start another project to take up my time and attention. I am sure you all see the logic!!! Pictures to follow in the upcoming days of my reorganization (after I make another trip to Ikea for a few more items) and inspirations for the album!!! If you don't see the post in the next few days, just assume that the complete nervous breakdown occurred! Well, this Monday we are driving 12 hours back from Montana in one day so the muffin tin meal was not an option. We had a wonderful long weekend in Bozeman, visiting with family and enjoying our old college "stomping grounds". So instead I am sharing our Muffin Tin from last Monday since I never got it posted. I wish I was posting on the Rainbow Theme that Katy has suggested for this week. I am looking forward to seeing everyone's creative ideas! On a side note, I am still waiting for our lazy and relaxing summer to begin. Our travels should be coming to end so that should free up some time, but I have taken on a part-time job that will start in September and will require training for quite a few hours in the upcoming 6 weeks that will keep us busier than I had intended. But I really want to commit to doing some fun things with the girls, so I figure if I blog some of my ideas, maybe I will be more accountable for them!! And then there are all the personal projects I want to accomplish in the upcoming six weeks but I will save that for later posts!!! A goal in my life is to get the perfect picture of a dragonfly. Today I made a few attempts. Not the best but they are a start. I am seeing myself justifying a better zoom lense just to accomplish this task!! After 6 years, 1 month and 4 days it was time to say good-bye to our crib. I have been putting it off as long as possible by having Nora sleep in it with the front railing off as a toddler bed but I guess it was time. We had a garage sale today and I am sure (or at least I hope) it went to a good home where it will be well used. I wasn't quite prepared for the rush of emotion as I watched it get loaded onto the truck. I think back to all the wonderful times watching my babies sleep and all the frustrating times trying to get them to sleep. I wish I could go back in time to cherish those moments more instead of trying to rush through them in a constant panic. As they get older and life gets busier and more complicated I realize how wonderful and simple those times were and I miss them. But no sense dwelling in what is gone. Time to look forward to all the new adventures in our life. Madison soon will be a first grader and Nora will begin the pre-school experience. And it is looking like I will be going back to the working world. Well, just 10 hours a week, but all these things together will be a new step for our family as we continue to grow and change. I am hoping I can stop to enjoy the simple moments we have these final 6 weeks of summer before all the craziness begins. We have been home for 4 days and I still feel like I am recovering from the trip. Overall, it was really fun. The weather was fabulous. You know you live in the Northwest, where you haven't had a warm and sunny day in a full 9 months, when your 6 year old pulls out the shirt she is wearing for the first day of the trip and squeals in delight "Oh, a top-tank!" It has been so long she forgot that it was called a tank-top!!! We enjoyed our time in Tahoe but could have used another day or two for more exploring! If you want to be bored with more photos click here to see my flickr slideshow of just a few of the hundreds of photos from the trip! We turn around next week to drive for my family reunion in Montana. I will be ready to not sit in the car for a LONG time after that!!! Here's this weeks lunch. We took it outside for a picnic. I expected it to be perfect with the girls enjoying lunch while I got some gardening done. But as soon as they got outside they got distracted by bugs, flowers, bikes, and more. So lunch was barely touched and then 2 hours later I had hungry girls. Oh well, live and learn!!!! Madison got this for her birthday and it is a WONDERFUL gift! Click on the photo to link to Amazon for a full description since mine won't do it justice. 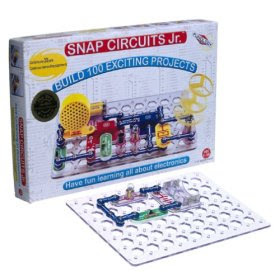 It allows your child to become their own electrical engineer. All the pieces snap onto the basic circuit board. I was pretty skeptical about how easy this would be as we have had other toys that are to snap together and it is very tricky for the girls to master. But this is completely doable for my 6 year old daughter and even my 3 year old can do it a bit. There are LOTS of pieces to this and it is vital you don't lose any but they all come arranged on a very nice tray with special slots for each piece so you can quickly see if something is missing. There are switches, lights, sensors, alarms, speakers and MORE to make all sorts of electronic creations like musical doorbell, police siren, water alarm and many more!!! The book gives 100 different things to make and a color coded picture (the pieces are also color coded) to show you how to build it. Some my daughter can do independently and a few she needs a little assistance. This is a huge Daddy Hit too! He enjoys building the items with her. This is a big hit in the house for both parents and kids! I will definitely be giving it for gifts in the future. The kit I have featured is the jr. kit and would be great for 5-7 year olds. There are some more advanced kits that give more pieces and you can add to your set as you go.